Does your family need some new soccer gear for the spring season? 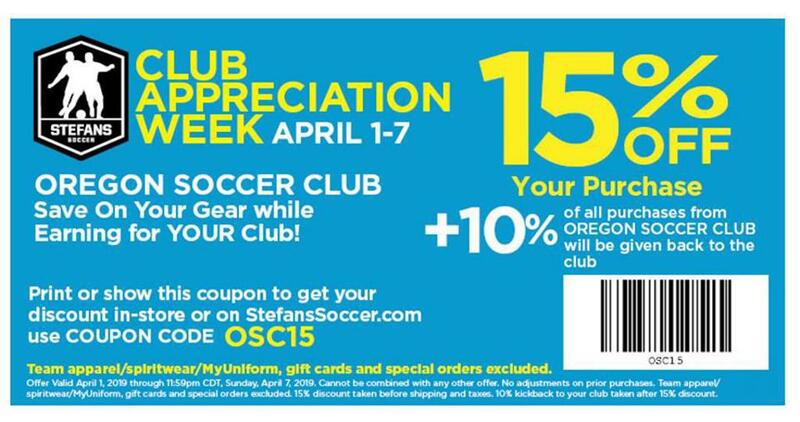 Shop at Stefans Soccer from April 1-7 and use the coupon below, or use the code OSC15 if you're shopping online, to save 15% on your order during Club Appreciation Week. And, not only will you save money, but Oregon SC will benefit, too, as Stefans will donate 10% of sales using the coupon or code to the club.